Yes, you’re right! We are just about to celebrate our 53rd Singapore birthday! So, why not take some time to celebrate some of things we love about our little red dot. From our perfectly manicured and pristine gardens to the roads we use every day for our daily commute, Singapore keeps herself well-groomed. It’s easy to take grooming for granted, unless you’ve been on a Tinder date with a dishevelled and unkempt individual. Singapore takes pride in how she looks every single day for our benefit, and that is something that deserves to be celebrated. Need something to satisfy the midnight munchies? Not to worry, we have convenience stores that stay awake 24/7, not to mention the mother of all shopping centres, Mustafa, where you can find anything and everything you could possibly need. We have something for insomniacs of every kind. The best part is that you can venture out at any time, thanks to the blanket of safety that covers the streets of Singapore. 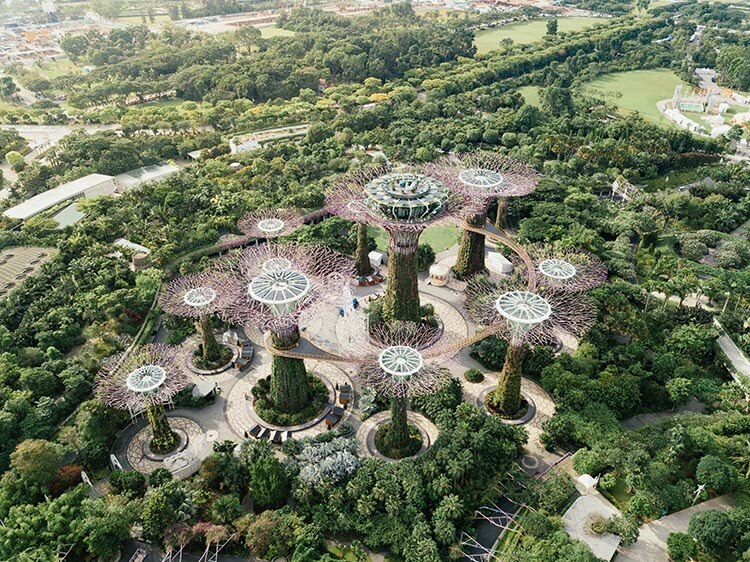 Singapore is nothing if not for its people – a diverse group with different cultures and racial backgrounds who come together as one united people. Singlish is just one facet of this melting pot, where Chinese dialects, Malay and Tamil blend to create something uniquely Singaporean. Sure, the purists and grammar nazis of the world may not love it, but it’s a part of our national identity, and has earned places in the hearts of many, even a spot in the Oxford English Dictionary! What can I say, we love our food. Eating is basically our national pastime. We would queue for miles and miles just to get our local food fix. Local fare, just like Singlish, is all the more special because it’s an amalgam of all our cultures. As a nation of foodies, we take pride in our shared love for dishes like Chili Crab, Hainanese Chicken Rice, Roti Prata and Nasi Lemak. We’re a passionate bunch, and if you tell us that our favourite chicken rice isn’t good, we can’t promise you’ll leave the conversation unscathed. We love a good party and our favourite one to attend has got to be our nation’s birthday party. Whether it’s the excitement of checking to see what surprises lie instore within our goodie bags, or the rush of planes cutting through the air above our heads, we love our National Day Parade. And sure, you could tune in from home on the television, but there’s nothing like being in the stands, right smack in the middle of the action. So hey, why not head on down? We know tickets are hard to get, but we can help. Remember how we love our local fare? So much so that it’s almost a part of our identity? 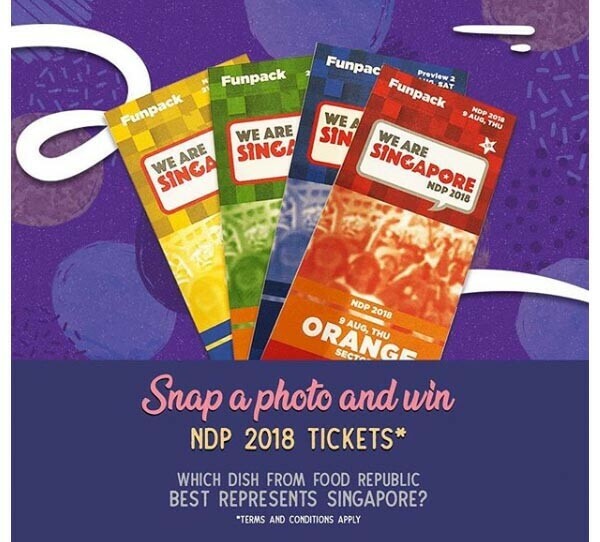 Well, visit any Food Republic outlet or Food Opera, snap a photo of a dish from there which you feel best represents Singapore, and let us know why in a post on Instagram! Make sure to follow @FoodRepublicSG and set your profile to public. If you’d like an unfair advantage, tag at least two friends to double your chances of winning. For full T&Cs, visit www.foodrepublic.com.sg/promotions. Contest ends on 29 July 2018, so get snapping!